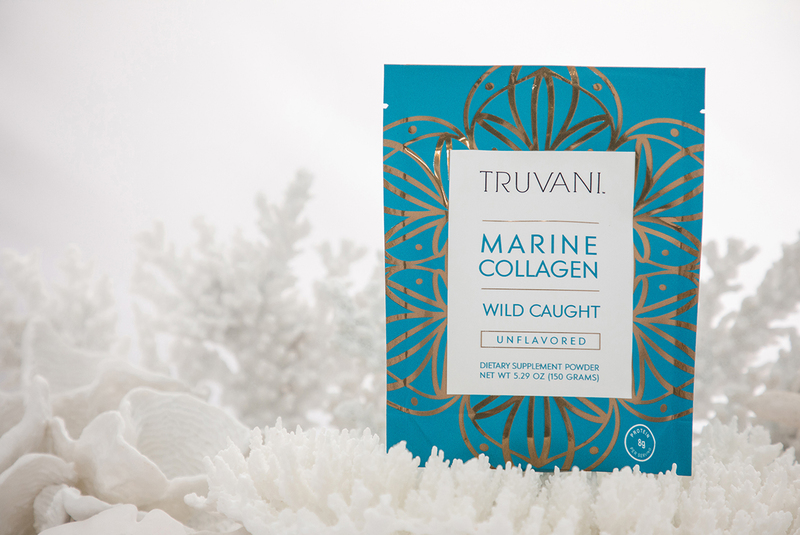 For some added beauty benefits we use a scoop of our all-new Wild Caught Marine Collagen powder. And now, for a limited time, you can get it for up to 25% off. Just click this link right here. Plus, if you order today, we’ll give you a FREE GLASS STRAW (a $9.99 value)… while supplies last. 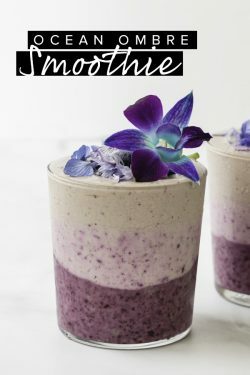 Place the blueberries, ½ of the banana, almond butter, collagen and ¼ cup yogurt in a blender. Blend until smooth. Pour roughly ⅓ cup into a glass. Set aside. 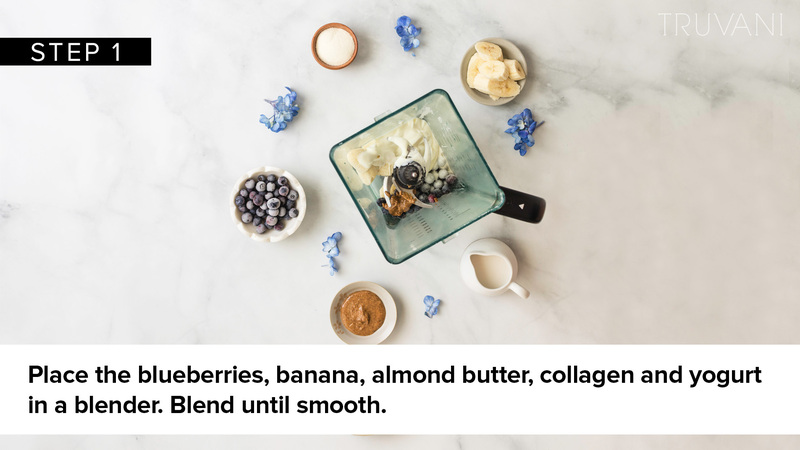 Add the remaining banana and an additional ¼ cup yogurt to the blender. Blend until smooth. 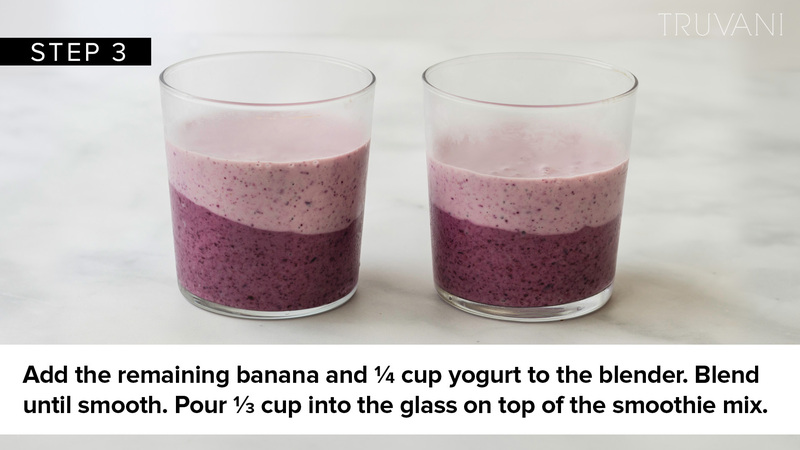 Pour roughly ⅓ cup into the glass on top of the first smoothie mix. 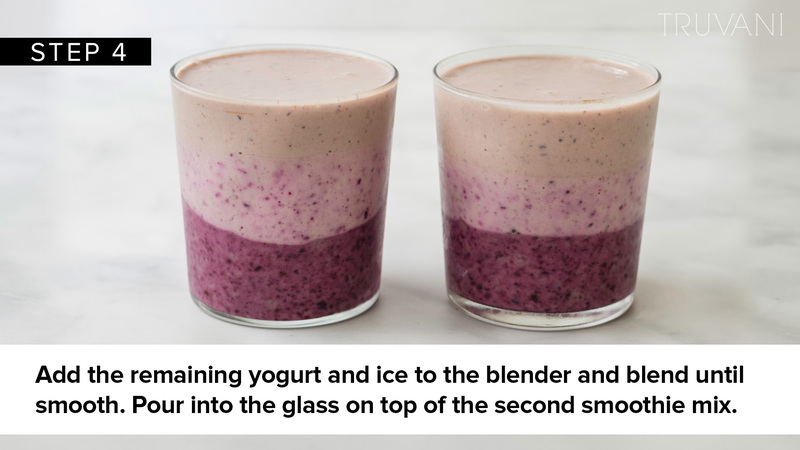 Add the remaining yogurt and ½ cup ice (more as needed) to the blender and blend until smooth. Pour roughly ⅓ cup into the glass on top of the second smoothie mix. 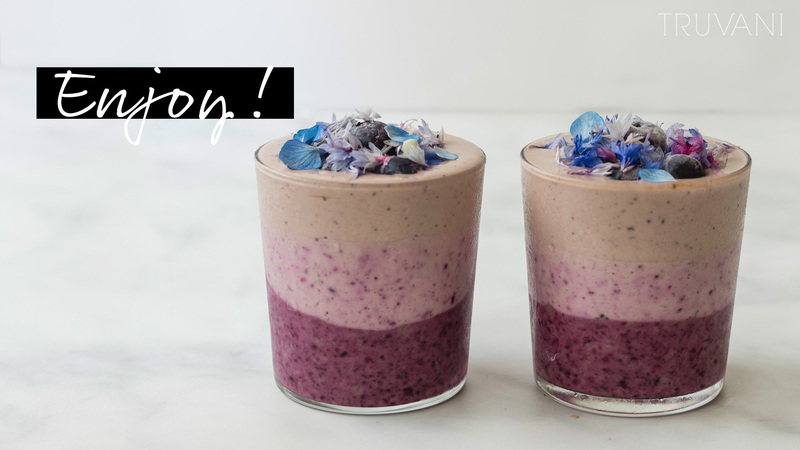 Step 1: Place the blueberries, ½ of the banana, almond butter, collagen and ¼ cup yogurt in a blender. Blend until smooth. Step 2: Pour roughly ⅓ cup into a glass. Step 3: Add the remaining banana and an additional ¼ cup yogurt to the blender. Blend until smooth. 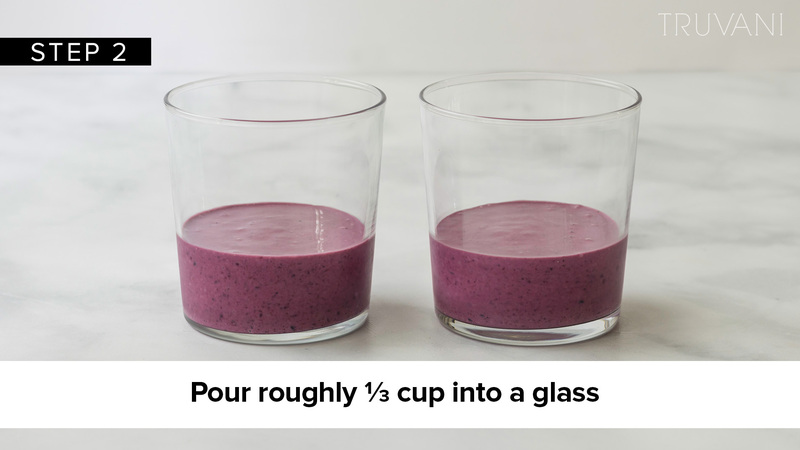 Pour roughly ⅓ cup into the glass on top of the first smoothie mix. Step 4: Add the remaining yogurt and ½ cup ice (more as needed) to the blender and blend until smooth. Pour roughly ⅓ cup into the glass on top of the second smoothie mix.